If you desire an extra day in Cusco and want to visit an additional site, the village of Chinchero is an ideal place in a fertile region of the valley. 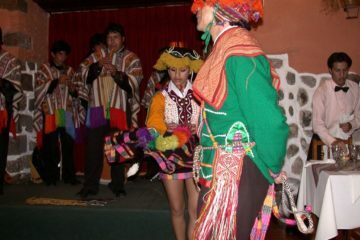 The people still walk about in their typical, picturesque dress with a combined Indian-Spanish influence. 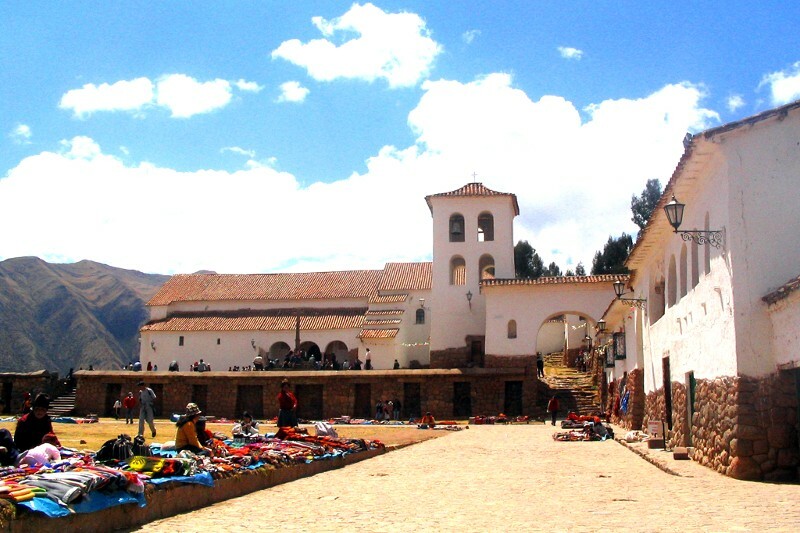 The village is surrounded by the beautiful snowy-capped peaks of Chicón and Veronica. 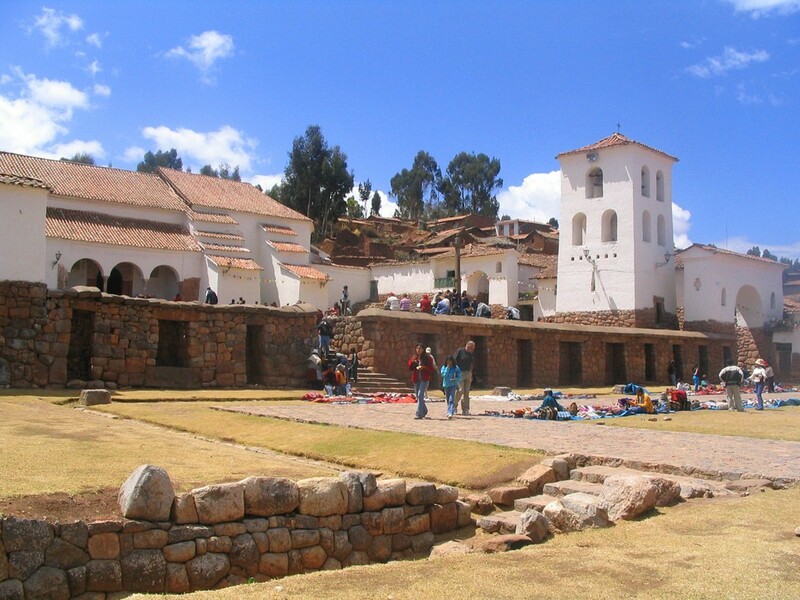 Indigenous lore says that Chinchero, one of the valley’s major Inca cities, was the birthplace of the rainbow. 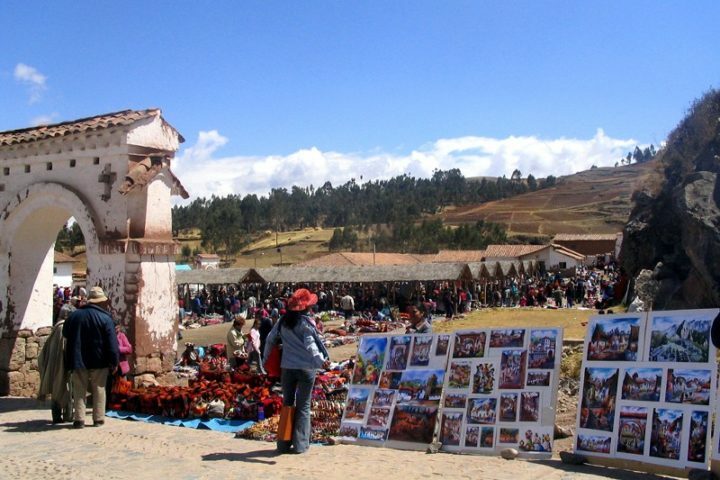 This program invites you to enjoy Chinchero, a genuine mix between the Inca and Spanish culture. 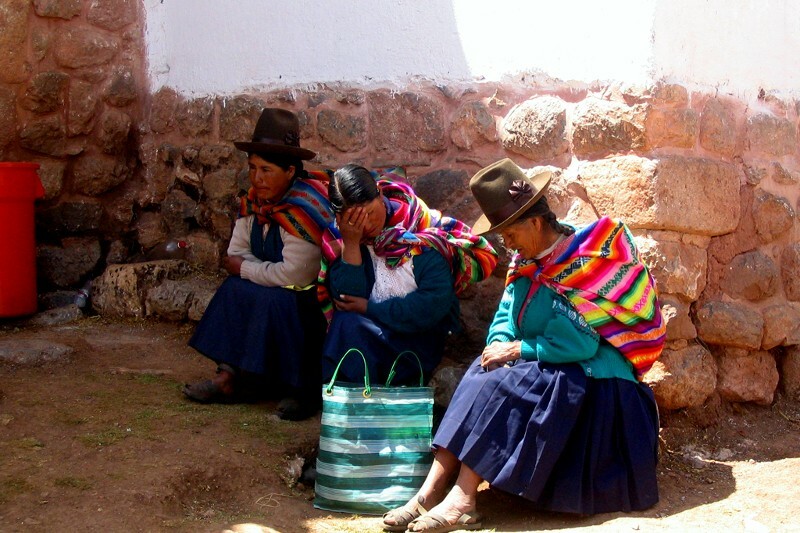 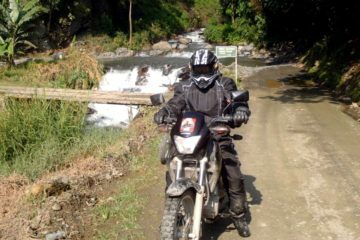 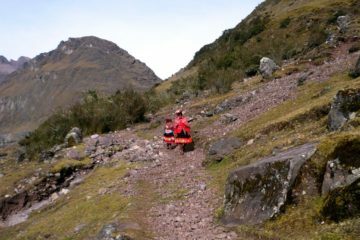 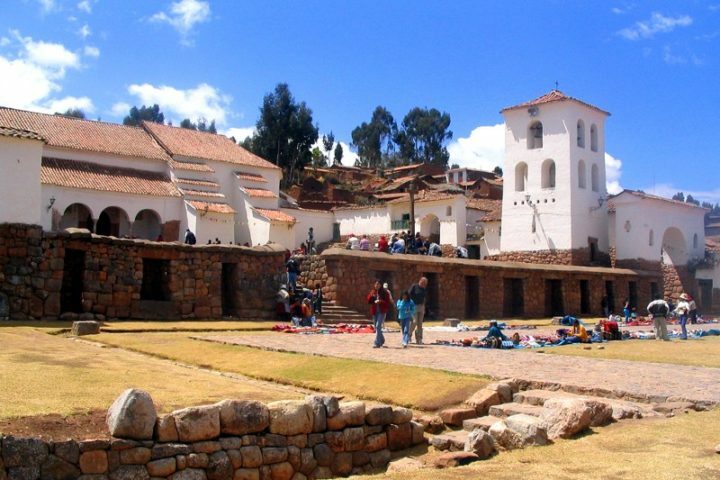 Private transfer Cusco – Chinchero, Located 35 km. (22 miles) northwest of Cusco, the town of Chinchero lies on the foundations of an important Inca site built in late 1400s. 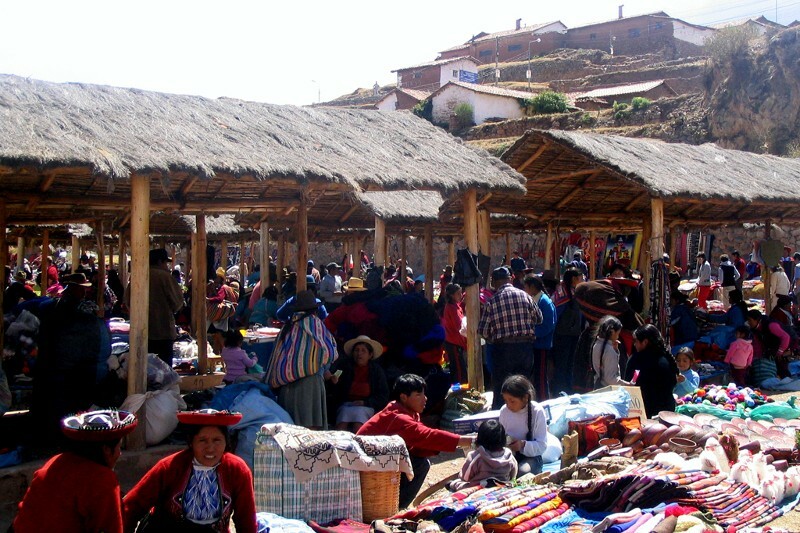 Brightly dressed, the people of Chinchero gather in the main plaza to barter foodstuffs and offer visitors an array of crafts from the Cusco region against scenery of breathtaking beauty. Market only Thursdays and Sundays.